Maybe you’ve been told you can’t wear contact lenses because you have astigmatism. Or perhaps you’re experiencing discomfort, blurred or fluctuating vision with your current lenses. 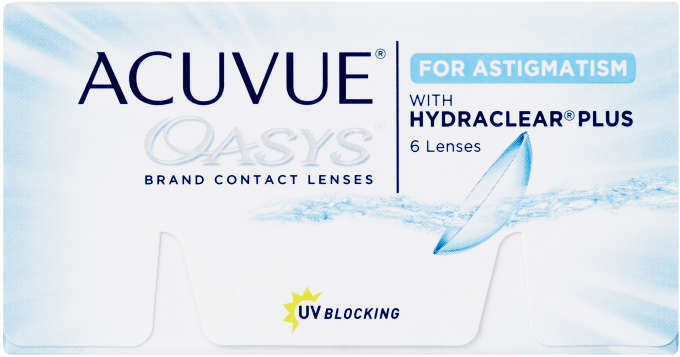 Now with ACUVUE® OASYS® Brand for ASTIGMATISM you can leave all that behind. 6 tinted UV blocking lenses in a buffered saline solution.